I have 3 pretty lavenders, but I wasn't sure if they were too similar. 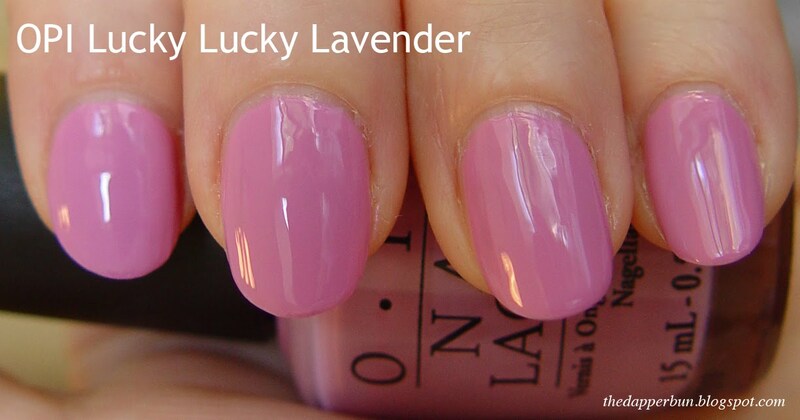 I bought MAC's Love & Friendship (from the A Rose Romance collection) last spring (2009), and I bought OPI's Lucky Lucky Lavender and Essie's Neo-Whimsical this spring (2010). In the bottles, the MAC and OPI look very similar, except the MAC is a bit murkier. Essie's is considerably lighter. The MAC and OPI formulas were good, but the Essie is way too streaky. I've only used the Essie twice and I may try to sell it to a friend.